← Do You Need 10 Reasons to Visit the BVI? 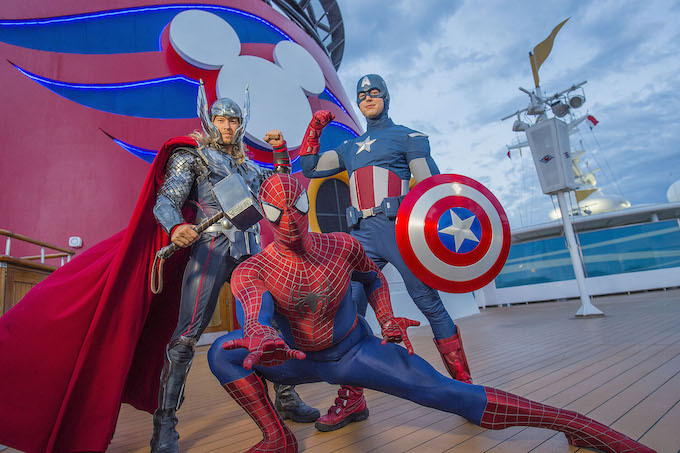 Select Disney Magic Sailings from New York in 2017, Disney Cruise Line Guests will unite and celebrate the epic adventures of the legendary Super Heroes and Super Villains from the Marvel Universe during a brand-new, day-long celebration: Marvel Day at Sea. Marvel Day at Sea will be on seven- and eight-night Disney Magic Bahamian cruises departing from New York on Oct. 6, 14, 28; Nov. 4, 11 and 18, 2017. All will include a stop at Castaway Cay and Port Canaveral, with a day at Walt Disney World®Resort. Marvel Day at Sea will be on one seven-night Canadian Coast cruise departing from New York on Oct. 21, 2017, with stops at Charlottetown, Sydney and Halifax. Are you ready to summon their inner Super Hero for the adventures that lie ahead during this unforgettable day at sea? Call for details and how you can set up a payment plan! Posted on October 24, 2016, in Added Travel Values, Disney Cruise Lines, Family Reunions, Marvel Comics, Teaching Kids About Culture, travel hut wendi, vacation. Bookmark the permalink. Leave a comment.